Apple Cider Vinegar, cooly touted as ACV, is beyond wonderful. Not only it is a tasty addition to several of your recipes, but it also has medicinal qualities so distinguished that some health nerds simply ingest it by the spoon to make sure not to miss a single dose. And of course, it also has some use in the household hacks. This ACV is really powerful. But what exactly is ACV and how did it exactly origin? 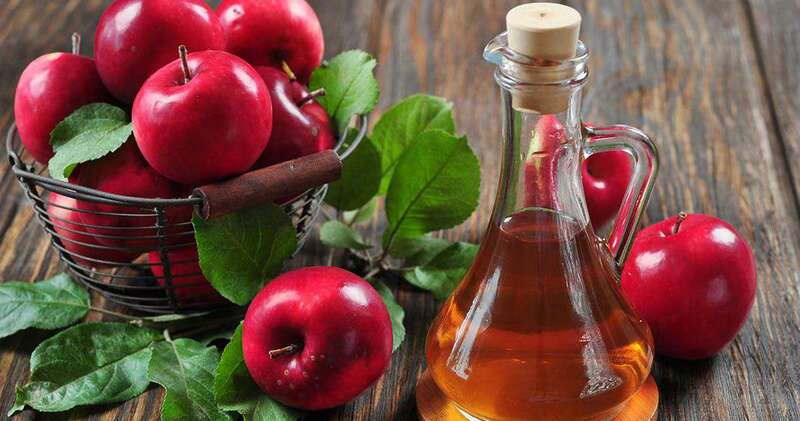 Apple Cider Vinegar is made from apples. Apples are crushed and the juice is squeezed from the fruit. A long fermentation process is needed to create the vinegar. Bacteria and yeast are added to the liquid to start the fermentation so that the sugars are turned into alcohol. So essentially, first, apple cider is turned into alcohol and then alcohol is converted into vinegar by acetic acid-forming bacteria. There are certain live enzymes (cob-web like appearance) in the vinegar which is referred as ‘the mother’. ACV is a historical drink. Until recent history, apples weren’t for eating. In fact, the old people found them too bitter to munch on. So instead, they would press them for the juice and leave it to a ferment, till it turned into a hard cider. In 55 B.C. when the Romans first sailed to the British Isles, the locals were drinking a cider-like drink. Soon it became famous in the Germanic tribes to the Normans. In fact, this was the time when word ‘cider’ was added in the English dictionary. Around 400 BC Hippocrates, the father of modern medicine, prescribed apple cider vinegar mixed with honey for a variety of ills, including coughs and colds.